LINCOLN, Neb. — Even though Illinois and Nebraska have just three Big Ten wins between them, both enter their game Saturday believing they're on the verge of breakthroughs. "You can only get so much better without getting the result you want," Nebraska running back Devine Ozigbo said. "So we're just going to keep working and keep getting better. Wins are the next step for this team. If it's not now, it's definitely going to be in the future. This team is just going to continue to get better." "We have three games that we think that we can win," he said. "So we're going to keep pushing forward. Illinois is the next game that we're going to play. We're excited for it, and playing against guys that I've grown up through college with, like AJ on the other side, it's going to be a whole lot of fun." "You get to a point where — boom — you can really see yourself ready to take off," Smith said. "We love being three-touchdown underdogs going into an environment like that." The game matches the nation's two most improved rushing offenses. 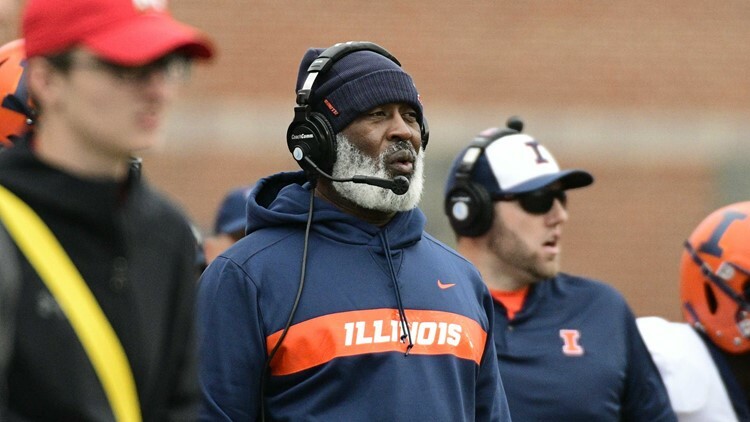 Illinois' Reggie Corbin is averaging 106 yards per game to rank third in the Big Ten, and the Illini are running for 249 a game — 143 more than a year ago. Nebraska averages 217 yards on the ground, a 110-yard improvement. "We practice in the mornings all the time, I have a hand warmer," he said. "I can't complain. We have heaters on the sideline. I think I'll be just fine."